The show airing January 8, 2018 – January 15, 2018 ‘highlights’ the WV International Auto Show & the Fix’Em Clinic. We interviewed Ruth Lemmon, President, WV Automobile & Truck Dealers Association and Jeremy Nelson, Committee Member of WV Auto Show. Ruth & Jeremy talked about the new cars, trucks and SUVs will fill the Charleston Civic Center Center for the 2018 West Virginia International Auto Show! Hundreds of vehicles will be on display with nearly every brand and make represented. 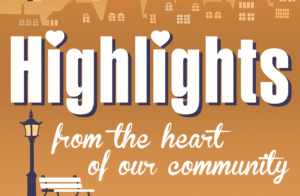 The event is scheduled for Friday, January 19 – Sunday, January 21, 2018. 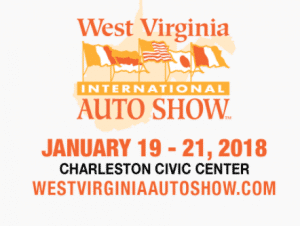 The West Virginia International Auto Show is presented by the West Virginia Automobile and Truck Dealers Association and produced by Motor Trend Auto Shows, LLC. We also interviewed Lisa Mitchell, President of the Fix’Em Clinic. Lisa spoke with excitement about the opening date of the new Fix’Em Clinic, located at 102 Dee Drive in Charleston, WV. After nearly 4 years of securing necessary funds and space, the Fix’Em Clinic is set to open on Monday, February 19, 2018. Lisa talked about their $89,500.00 grant from ASPCA and the many supporters & donors who have contributed to the clinic. The Fix’Em Clinic’s goal is to minimize the euthanasia and suffering of thousands of animals in our region and strive for a time when every companion animal has a loving home. A humane, sustainable solution is to prevent the births of unwanted litters through spay/neuter. To substantially impact the population you must spay and neuter a LOT of dogs and cats and people must be able to afford your fees. They will accomplish this at the Fix’Em Clinic by spaying and neutering around 7,000 dogs and cats every year at a cost substantially lower than the average fee in our area. The clinic model is called a High-Quality, High-Volume, Affordable Spay/Neuter clinic. They plan to provide service to a 23-County area in and around southern WV. Humane Alliance, a program of the ASPCA, developed this model and mentors groups like ours through the process to ensure we meet the high standards of top quality care at an affordable cost. We are proud to be the only approved Humane Alliance clinic in our area, and only the second one in West Virginia. Our entire staff will receive specialized training on High Quality, High Volume Spay/Neuter at Humane Alliance’s headquarters in Asheville, NC . Lisa announced the Fix’Em Clinic’s new vet is Dr. Brandy Jones. The Fix’Em Clinic is still accepting donations to ensure operations. Click here to donate to the Clinic.